Today’s post shows the full look of what I wore on my Mother's Day post. 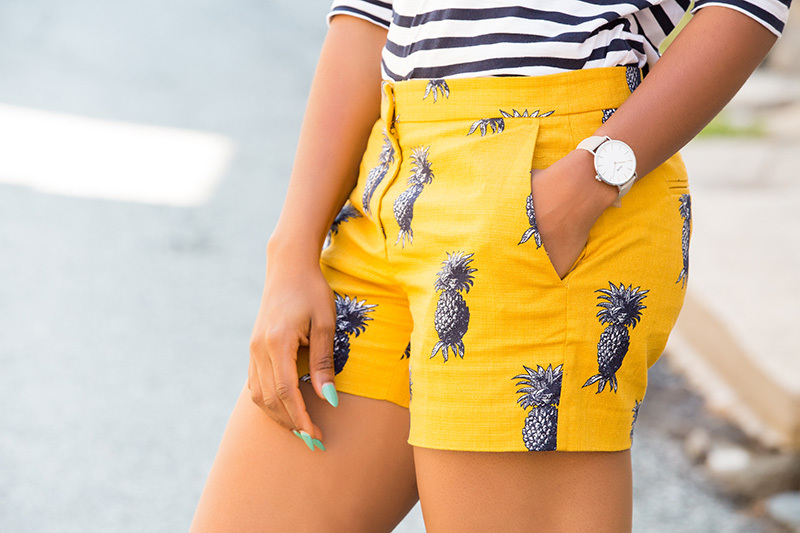 I love this pineapple city print shorts and my mom wore the dress version which fits perfectly...she loves it! I can’t get enough of the spring pieces from Ann Taylor and my recent addition is this gingham top and shorts set which I will be blogging about soon. For a glimpse, check out my Instagram. That slingback flats is everything, i love how it matches with your pants.